Part One of Addressing the Significance of Data Quality in CRE focused on the current state of data collection and quality in the commercial real estate market. In Part Two, we'll address the necessary steps property companies must take in order to improve data integrity to make better decisions. Since the dawn of time until 2003 the quantity of information generated is estimated at some five exabytes. According to Intel, that same amount of information is now created every two days. Businesses have long understood that there is value – somewhere – to be extracted from this burgeoning volume of data. And increasingly, they have been able to get at it more efficiently and cost effectively. Yet for all their enthusiasm for “big data,” most companies are only scratching the surface of the opportunities that await them. Digital transformation, and with it a renewed emphasis on data integrity and governance, has disrupted a number of prominent U.S. industries – forever changing how companies operate and make decisions. 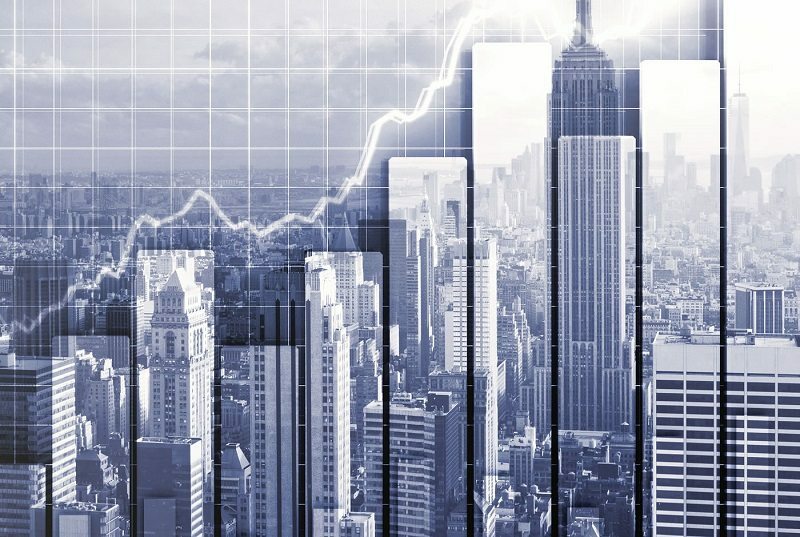 The commercial real estate industry finds itself where the financial services market stood just a few short years ago, trying to make sense of large, fast-changing sets of data, but even more importantly discovering ways to extract the most value from its data. What is the biggest lesson CRE can learn from the trial and error process FIS took in its adoption of all things digital? Simply put, data integrity directly effects the successful implementation of digital technology. In other words, the quality of data determines whether or not a property portfolio can achieve cost savings, optimize investments, and gain competitive advantage, as well as how effectively its executives can make critical decisions. Data quality means something different across the CRE market. For some, it’s ensuring that resident contact data is accurate so that properties can communicate efficiently and effectively with them. For others, it could be complete tenant profiles that help with marketing segmentation efforts. At its heart, data quality is about being fit for a desired purpose. If your portfolio is new to leveraging data as a decision making tool, assuming a three-tiered process for improving data quality is a crucial step in the right direction. First, find the most critical problems or gaps. Second, fix the issues by analyzing their root causes. And third, prevent their recurrence by developing the ability to ensure data quality and track it over time. Lyra Intel suggests monitoring data quality at the occupant, property, and portfolio levels while benchmarking against industry averages for key performance indicators (KPI). It goes without saying that data quality is a key competitive factor in every industry due to its ability to fulfill explicit and implicit occupant expectations. Problems with quality translate quickly to lower levels of occupant satisfaction, decreased retention, and shrinking NOI. Before implementing any data quality improvement plan, properties must understand where they stand today. There are a number of ways to determine if data is trustworthy and if your properties really have an accurate understanding of their occupants. However, one important way is to understand how sophisticated your data quality strategy is within your organization. Unaware – the organization is unaware of the importance of data quality and its impact on the business. They do not have a strategy in place. Reactive – the organization only performs data cleansing and analysis as issues occur. There are no specific data roles and tactical fixes reside within departmental silos. Proactive – the organization has a proactive data strategy with clearly defined roles within the business. There is a clear ownership between the business and IT and a focus on discovery with root-cause analysis. Optimized – data quality is monitored as a core factor of the business with documented data quality rules in place. The organization reviews profiling, monitoring, and visualizing data as part of a complete strategy. According to Experian, almost half of organizations today fall into the reactive or unaware stage, meaning there is a lot of room for data quality improvement. 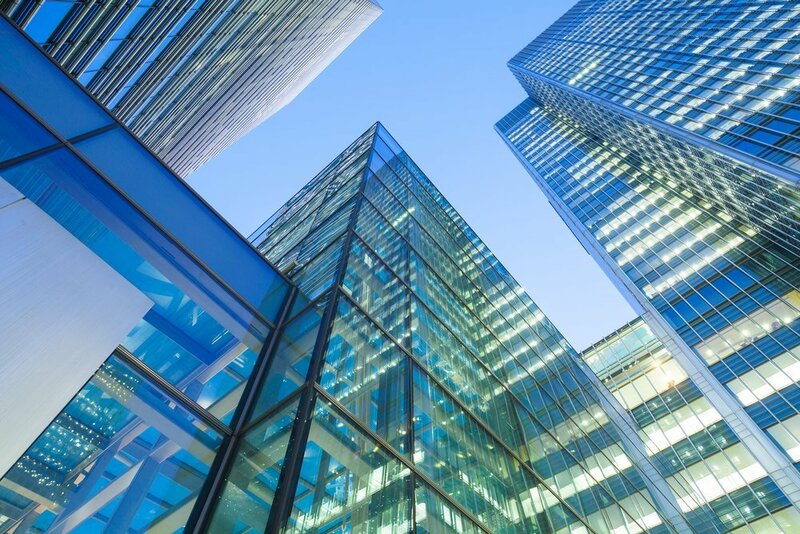 Selecting a partner to help navigate the stages of data quality sophistication and achieve an holistic view of its occupants is critical for property portfolios. It is key to better serving occupants with appropriate amenities and offerings that meet their needs. Data quality management can also create a framework to create repeatable and successful improvement that generates insight needed to better define the occupant experience. The newfound ability to aggregate this type of data has reduced risk exposure because properties no longer rely on “gut feeling” or intuition when it comes to important capital investment decisions. With a holistic view of its occupants and their relationships to their community, properties can improve their marketing effectiveness with a thorough understanding of occupant personas and lifecycle. Only 18 percent of all companies say they have reached an optimized state of data quality (Experian). This number decreases drastically when isolated within CRE. As competition increases within the market and companies struggle to find ways to increase NOI, it is becoming more critical to select the right platform to not only improve your data quality, but also provide ongoing support and consultation. Lyra Intel offers a turnkey digital solution to accomplish optimized data quality, segment occupants based upon demographics and behavior, increase retention, and generate an additional revenue stream for properties within an occupant experience mobile app. 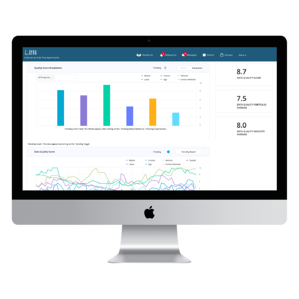 Lyra’s business intelligence dashboard is synched to your property management software. A quality score is generated at the property and portfolio level and benchmarked against an industry average. Property data entry and collection process is standardized. Data improvement opportunities are targeted and monitored for improvement. Further occupant demographic and behavioral data collected in the Kaboodle user app. Data quality is an essential characteristic that determines the reliability of data for making decisions. Understanding data is a valuable asset that must be managed as it moves through your organization is the first step in using data as a decision making tool. As information sources are growing more numerous and diverse, the need to integrate and access information from these disparate sources in consistent, trusted, and reusable ways is crucial to your portfolio’s long-term success.